We are here to provide progressive driver training. Contact us today to book your driving lessons. Whether that be the first time learner, the part trained driver, those needing Driving school lessons, Pass Plus tuition, motorway tuition, advanced driver training or Intensive driving lesson courses. Driving school designed to prepare people of all ages and abilities to reach their goals. Pass your test in a Manual car and you can drive both Automatic and Manual cars. "Those who pass their driving test have had on average about 45 hours of professional tuition combined with 22 hours of private practice.Candidates that combine the two are more successful on the test". "If you're not getting it right all the time without your instructors help, then you are not ready to take your test". For best results and smoother advancement we recommend 2 hour lessons for learners taking weekly lessons. Feel free to ask for more details on this. Payments can be made in cash or bank transfer. Cheques would need to clear by at least 5 working days before the commencement of any course. NB Intensive courses must be taken during the day in the week! We offer taylored driving lessons to suit each individuals needs. Nervous pupils are welcome and are trained by patient instructors to become confident drivers. Learn to drive with confidence with DSA approved driving instructors. Pass Plus driving lessons, a programme of instruction for newly qualified drivers to improve their driving skills and safely widen their driving experience are available. Driving Schools offering driving schools driving lessons. 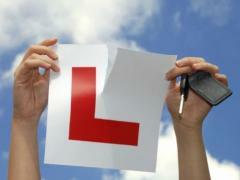 Driving schools driving lessons can also be taken in Banstead Berrylands Cheam. Pass Plus driving lessons, a programme of instruction for new drivers to improve their driving skills and safely widen their driving experience available. If you wish to take driving school lessons in Banstead Berrylands or Cheam please contact us to book your driving lesson. We suggest a 2 hour driving lesson to practice reading road signs in a busy town centre like Banstead. The one way system in Berrylands town centre has pedestrian crossings, traffic lights and filter lanes past Cheam Station needing care and constant observation at all times. Having driven round the one way system driving up Berrylands Hill you will need to do a few hill starts at the traffic lights and observe the bus lanes. At the top of the hill you enter Cheam Village. A popular collection of shops and coffee bars. Your driving instructor in Banstead will guide you round the mini islands to Berrylands Common. Here you can reverse park your car and review your driving lessons in Cheam and examine any problems. From Banstead Common drive down Britannia Avenue to the Berrylands where there are a number of quite roads to practice different manouvres. Your driving instructor in Cheam will talk through your driving lesson and any issues which may need more practice during your next driving lessons in Surrey.